Ever been caught in an “in-between” health state: not quite sick, but not quite healthy? Many of us might know the term “malaise.” It’s a sense of mild illness in body and mind. But we can’t quite put our finger on why we feel that way—or easily figure how it could have happened. Some of us may even go to the doctor only to get a clean bill of health but still feel like something’s unresolved. Malaise takes many forms. But these days, there’s a web of symptoms that are all too common—and they’re no coincidence. That’s because today’s common feelings of malaise may be due to cortisol levels. Since there’s a lot more being discovered about and connected to cortisol these days, there’s also been quite some talk about it, and regarding health, too. Cortisol is a hormone produced in the body. It’s made in the adrenal cortex of the adrenal glands, which are located above the kidneys. More specifically, cortisol is a steroid hormone. This means it has many very important functions in the body. Cortisol’s effects include ameliorating inflammation, modulating immunity, processing blood sugars, and kick-starting metabolism of macronutrients (proteins, fats, and carbs). When produced in normal, healthy amounts, cortisol is helpful and essential to wellness. But when too much cortisol is produced, health problems can start happening—the same being an issue when too little cortisol is produced as well. The same can be said for all hormones (like testosterone)— but especially cortisol. That’s because too much cortisol is definitely not too much of a good thing. A lack of cortisol is just as bad, too. Not only that: cortisol levels are released in great amounts particularly when we’re really stressed out. That’s right: cortisol is the official “stress” hormone. Too much of it is caused by excessive stress. When released once in a while, it does great things to help our bodies deal with stress. But when we’re too stressed out—and stressed out too much over long periods of time—too much of this hormone is like a wrecking ball to our wellness. In other situations, such as in some autoimmune conditions, lack of cortisol altogether also puts the body in jeopardy when it’s faced with stress. WHAT ISSUES CAN ABNORMAL CORTISOL LEVELS CAUSE? Some of us are all too familiar with what being stressed out all the time feels like. We feel tired, mentally sluggish, overwhelmed, sometimes anxious, depressed, and even sick. It’s one of the most common feelings of “malaise” there is. And it’s all because of cortisol. In fact, what we may call “stress burnout” is a familiar name for high cortisol levels. In many health circles, this health state is called adrenal fatigue. What’s worse: high cortisol is just the beginning, opening up a floodgate to even more possible health problems. There are also health disorders directly related to cortisol levels, too, though these can only be determined through cortisol tests. There’s no doubt about it: experiencing too much stress is bad for the body. But luckily, we can pinpoint high cortisol levels as the true cause for stress’s unhealthiness. On a more hopeful note, we can also target cortisol as one of the best ways to naturally transform bad health into good in the face of stress—or to even protect the body from its harms in our personal lives. There are few medical solutions or medications in conventional medicine to help cortisol imbalance (except if one has a known diagnosed cortisol-related disorder). On the other hand, certain well-researched, reputable herbs and mushrooms have been shown to possibly help with stress, high cortisol, and the issues related to it—and there are plenty to explore. Of all herbs known to be effective for cortisol and stress, ashwagandha may just top the charts. The most intriguing study on ashwagandha yet took place in 2012. In a double-blind, placebo-controlled randomized study, extract of the root reduced cortisol levels significantly in human test subjects with stress, depression, and anxiety. Those who took ashwagandha showed lower cortisol levels and stress, depression, and anxiety symptoms than in those who took a placebo. It doesn’t end there. A 2014 major review of ashwagandha’s benefits to stress and anxiety officially named the herb an alternative that should absolutely be explored more deeply and medically as a treatment to lower cortisol. A 2017 study also demonstrated that, by helping balance cortisol and lower stress, ashwagandha could also encourage healthy weight loss as a bonus. Astragalus: it’s not just one of those simple herbs for colds and flu anymore. 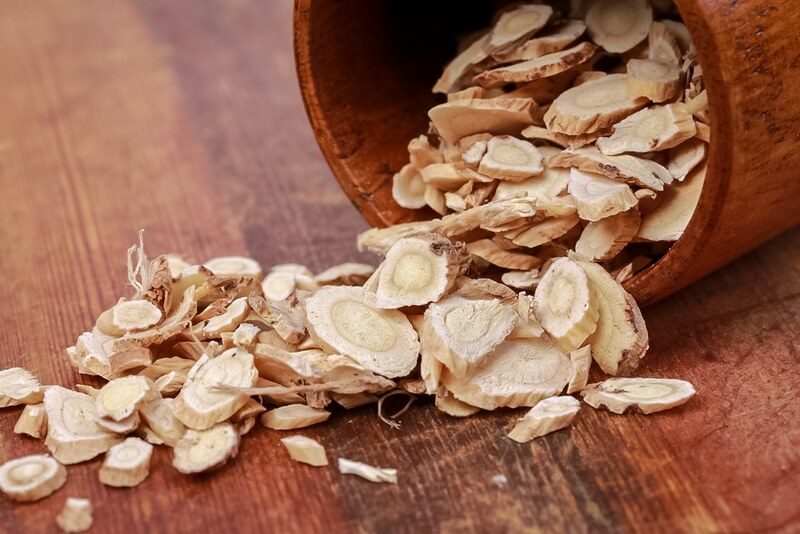 Science suggests astragalus could also deal a mighty blow against high cortisol. In 2011, a study on astragalus showed it could combat the harmful effects from high cortisol. But not only could this lower overall stress and its impacts. It could also improve memory, brain function, and lower Alzheimer’s dementia risk according to the study. Additionally, a 2012 study also found that by directly decreasing cortisol, there were some additional immune-boosting benefits as a result—a trademark astragalus property. While astragalus is synonymous with strengthening immunity, cordyceps—the bizarre Asian mushroom—is often associated with boosting athletic performance. As a close second, cordyceps can help alleviate stress, and it might just do so through taming cortisol levels. One evidence-based study in 2015 found that increased athletic performance from cordyceps may, in fact, be due to its ability to help curb cortisol levels. Cortisol levels can increase following rigorous exercise. 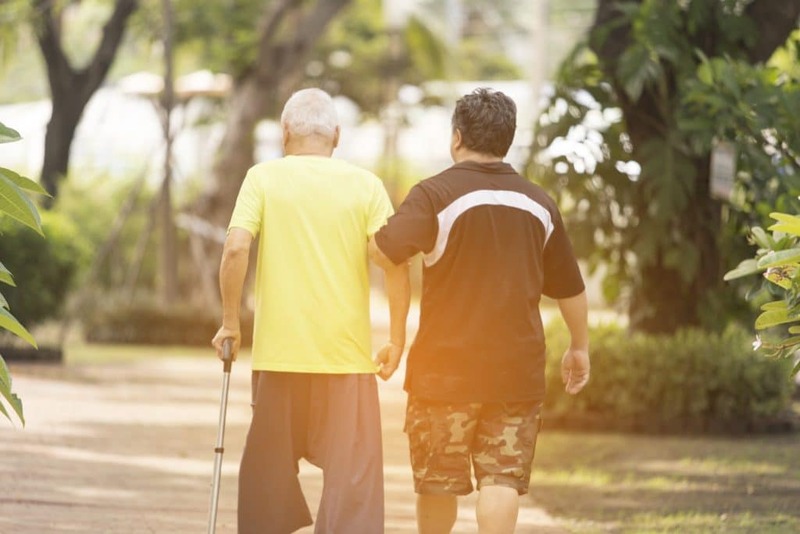 And yet, in test subjects that experienced exercise but also took cordyceps, cortisol levels were lower—thus they experienced less stress and, as an extra benefit, less fatigue. Eleuthero, also sometimes called Siberian ginseng, rests in a similar class as cordyceps—beloved by athletes for boosting athleticism and energy while forestalling tiredness. It also appears to help on these fronts due to reducing stress-induced cortisol increases. One 2015 clinical study demonstrated that eleuthero could help lower cortisol levels significantly following excessive alcohol consumption. 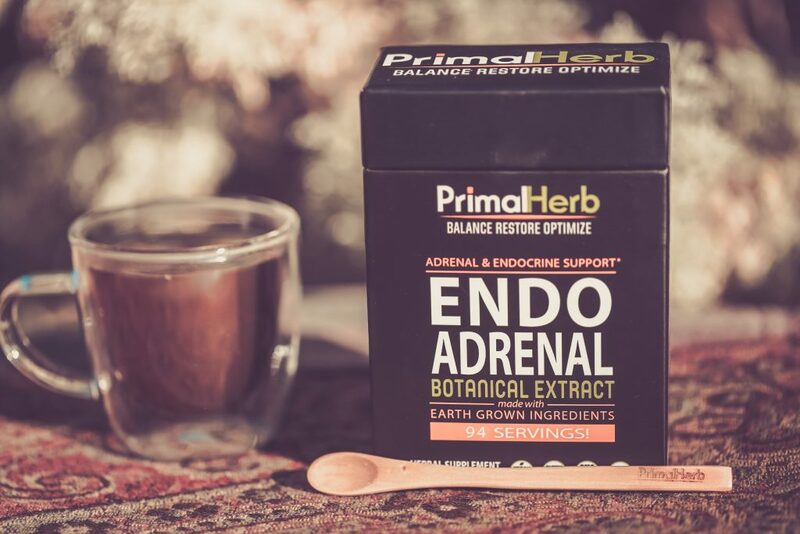 Further, a 2014 review on herbal therapies for adrenal fatigue—a state of increased cortisol levels due to stress—named eleuthero as one of the most research-supported and effective alternative supplements. 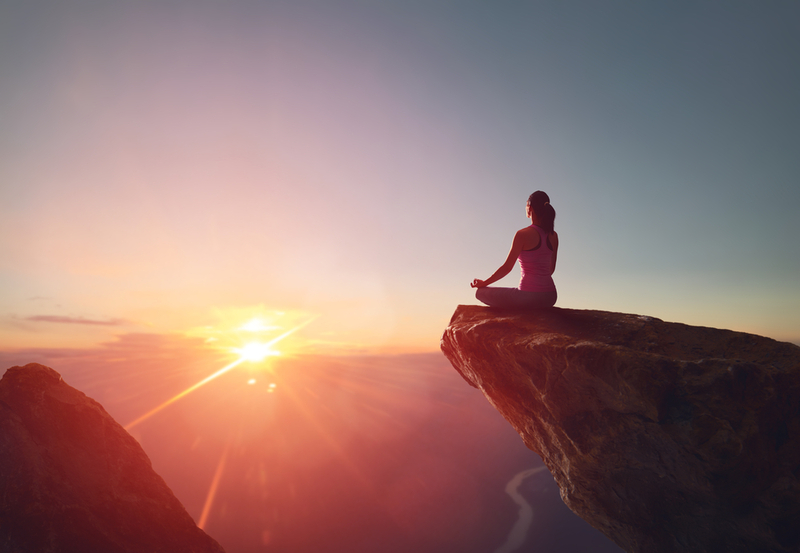 In addition to possibly helping with cortisol issues directly, eleuthero may also provide the added benefit of restoring energy and reducing fatigue. These are two common problems associated with stress burnout and high cortisol as well. An herbal remedy originating from an African bush, Griffonia may be considered the king of fighting stress and anxiety. This is because Griffonia is one of the richest sources of natural 5-HTP in the world. 5-HTP (5-hydroxytryptophan) is an amino acid and neurotransmitter known to help with stress, anxiety, and insomnia. It’s also a precursor to serotonin, a more major and active hormone that helps combat stressed physical and mental states. As such, this amino acid—and the Griffonia plant—may take part in keeping cortisol levels balanced and healthy. Studies like this one in 2012 established an important relationship between serotonin and cortisol, too. The more serotonin there appeared to be in test subjects, the less vulnerable they were to the effects of cortisol. As such, 5-HTP and Griffonia could be an ally for cortisol issues. Jiaogulan, also known as the Herb of Immortality, is not given this nickname too lightly. 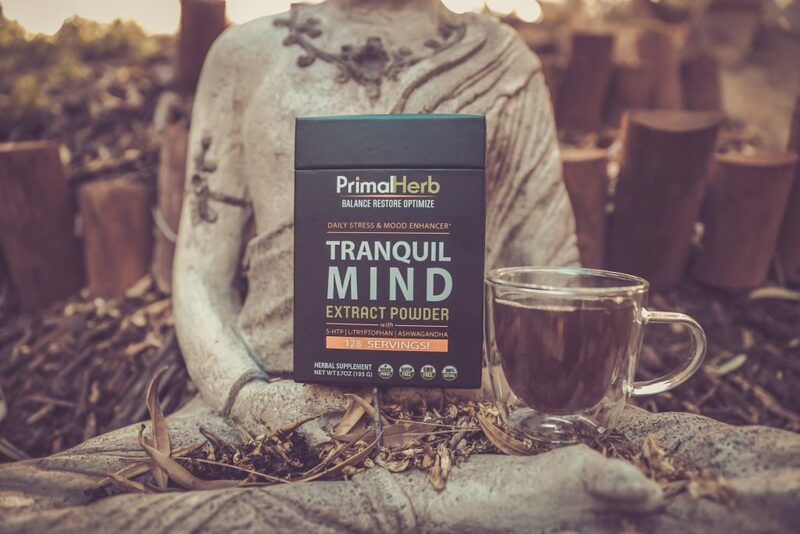 Considered one of the best adaptogenic herbs out there (often compared to ginseng), its greatest claim to fame may be its stress protection capabilities. Such benefits to stress are thought to be part of why this herb conferred such long lives to the ancient denizens of China who took it. While there aren’t any studies showing jiaogulan’s (also called gynostemma) relationship to cortisol specifically, there are some studies demonstrating that it does fight stress via influence on hormones and the endocrine system. In fact, in this study in 2015, jiaogulan appeared to lower corticosterone in mice, a hormone that is very similar to cortisol in humans. This, in turn, helped alleviate their stress. The well-known herbal root licorice is famed as both a sweet and tasty candy, as well as a healing botanical with an excellent reputation. Very interestingly, licorice is notable in studies for being able to apparently increase cortisol levels, according to studies like this one in 2012. Yes, this makes licorice useful to cortisol levels in a different way than most other herbs discussed so far: it could actually help raise cortisol if its levels are low. For some people experiencing stress, high cortisol is not the issue they struggle with, but rather low cortisol levels. In fact, licorice was named a potential and useful therapy for Addison’s disease, a diagnosable condition for when the adrenal glands don’t produce enough cortisol, in this 2017 review. Passionflower is another herbal remedy more famous for its sweetness: in the form of the tasty passionfruit. In herbal healing, however, passionflower is better known for granting sweet sleep and relief to those experiencing anxiety or insomnia. While the tropical plant hasn’t established too many strong connections to helping cortisol levels, in one 2011 study it was one of many herbs tested that appeared to lower cortisol following stressful situations. In plenty of other studies, however, passionflower has a stellar reputation for being able to smooth over anxiety. This was recently proved in a double-blind, placebo-controlled, randomized study in 2017. Notoriously beneficial to health (and a beautiful plant to boot), rhodiola is a famous adaptogen that unfolds as many possible health benefits as it has stunning leaves and petals. According to high-quality research, too, rhodiola could be invaluable to naturally supporting cortisol levels. One study in 2012 showed that rhodiola decreased cortisol levels in subjects who experienced extreme physical activity-induced stress. Yet another in 2014 named rhodiola an important adaptogen for helping treat stress and the fatigue related to it, though it didn’t make a direct connection with cortisol levels. 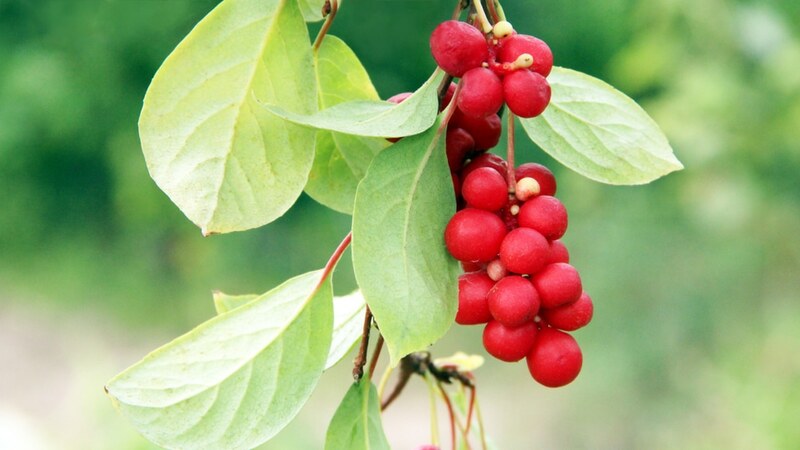 Schisandra berry, yet another herbal adaptogen, hails from China and may have effects and benefits similar in scope to rhodiola, another adaptogen it’s often compared to. Though there aren’t too many studies establishing a strong correlation between schisandra and cortisol, a couple do suggest it’s a strong possibility. One in 2011 showed that schisandra extract had a marked soothing influence on the “HPA axis” in stressed subjects. The HPA axis is the hypothalamic/pituitary/adrenal axis, or our “stress” system that gets stimulated to release cortisol in the first place. Another study in 2016 revealed that schisandra could alleviate stress in subjects experiencing it due to high levels of corticosterone, a hormone that is very similar to cortisol in humans and which becomes elevated with the body’s stress response. 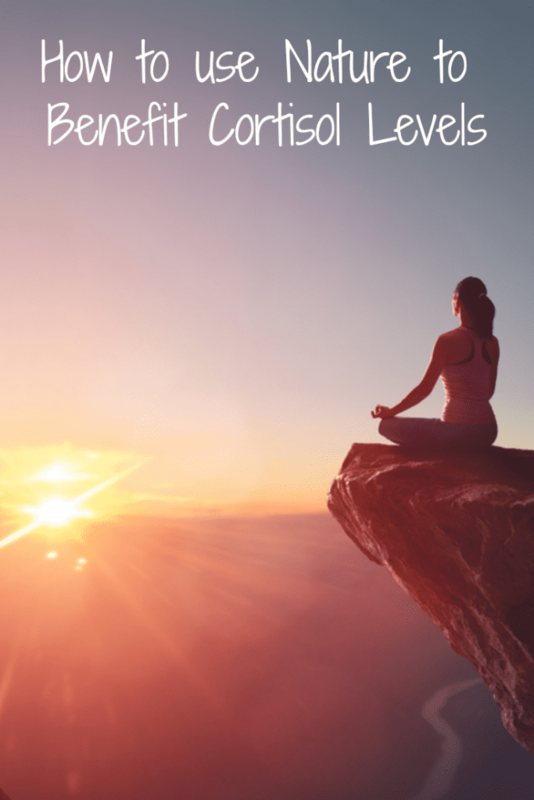 Beyond herbal support, some of the following diet and lifestyle tips are commonly recommended for people of all walks of life who are experiencing high stress—and who may have imbalanced cortisol levels as a result.